On 22 March 2016, some suicide bombers carried out their indiscriminate attacks on the innocent people in Brussels. Their acts of vicious violence are shocking and despicable. ISIS has claimed responsibility for these attacks. ISIS has shown once again that it can strike anywhere it chooses and by such violent actions, it gains maximum publicity for its ideological stance and objectives. The murders of 22 March are part of the pattern that ISIS had established and since last year has extended its operations to Europe. As the organisation has many sympathisers in different countries and many of its indoctrinated fanatics are willing to be suicide bombers, it shows its reckless attitude towards all it regards enemies or opponents. Despite the utterly abominable crime we witnessed, we should also try to see the terrorist attacks in European countries like France and Belgium in a wider context. Iraq, Afghanistan, Libya and to some extent Pakistan also have been in the throes of imperial wars as well as internal conflicts for many decades. What has happened in Paris last year and now in Brussels was an extension of the violence from Iraq and Syria to Europe. We rightly condemn what happens at the hands of fanatic terrorists in Europe but when it comes to US wars and EU interventions in the Islamic countries, we, who live in the western hemisphere, show little concern over the deaths of hundreds of thousands of innocent people there. Apparently, the people of the world are not in total darkness about the recent history of Palestine, Iraq, Libya, Afghanistan, and Syria. Under the slogan ‘War on Terror’, the US rulers with the help of their allies have pursued their geopolitical objectives by wars and terror, killing hundreds of thousands of innocent people. Unfortunately, political leaders and the media show great reluctance to give the same attention to the vast numbers of innocent victims of genocidal wars. However, when it comes to any terrorist attack anywhere in the west they give a forceful response to any acts of violence and terror. Such attitudes are unhealthy and discriminatory. In fact, religious fanatics take advantage of such debunked standards and successfully show the enmity of the western nations towards Muslims. The aim of propaganda is not to inform and enlighten but to terrify and mislead. In this, US rulers have been the role model for Muslim extremists. Now let us briefly mention the role of recent US wars. It was no other power than the United States that unleashed the first Gulf War in 1991. The real objective of the United States was not only to evict the Iraqis out of Kuwait but also to diminish the power or potential of Iraq as a regional power. In fact, President Saddam Hussein had accepted the UN terms for military withdrawal from Kuwait to end his occupation, but US rulers did not allow him to do so. There was a simple reason for this: A peaceful withdrawal of Iraqi army from Kuwait would have left Saddam’s military power and military hardware intact. That was not acceptable to Washington and the Pentagon hawks. Therefore, they attacked and destroyed brutally the retreating and helpless Iraqi army. General Colin Powell boasted of having killed so many encircled soldiers and burying many thousands of them alive in the desert. By such bravery, he must have added another medal to his uniform. Saddam had no options left. The United States initiated and imposed sanctions on Iraq with the formal approval the United Nations. Incidentally, such a formal U.N. approval has the magic to make any major war crime by the US rulers legitimate! The United States has exploited this façade of the U.N. approval routinely. We rightly condemn what happens at the hands of fanatic terrorists in Europe but when it comes to US wars and EU interventions in the Islamic countries, we, who live in the western hemisphere, show little concern over the deaths of hundreds of thousands of innocent people there. In 2003, America took the second major step to invade and occupy Iraq. This practically meant finishing off Iraq as a possible regional power if it ever raised its head at some future date. That was in consonance with the neocon strategy to have only one regional big power in the Middle East that was both strategically and politically indispensable part of U.S. hegemonic power and dominance. That regional power was and is Israel.Without an iota of credible ground or reason, President George W. Bush declared war on Iraq and invaded a vast secular Arab country, which did not let any religion or sect to interfere with the affairs of the state. After a massive destruction by the invaders of life, property and infrastructure in Iraq, President Bush became the eventual conqueror and master of Iraq and of its rich oil resources. As a matter of imperial policy to divide and rule, the Americans started the sectarian favouritism that fuelled sectarian violence and killings. Even after the ‘nominal’ ending of the occupation, the fire of sectarian violence America had ignited to further its objectives is still raging on. Thousands and thousands of innocent Iraqis have died. The forces of terror, revenge, religious sectarianism and fanaticism that American rulers unleashed in Iraq are out of control; no one is able to control them. Only the ordinary people of Iraq have become the victims of the genocidal war in Iraq. The mayhem and anarchy America created in Iraq has extended beyond the frontiers of Iraq. Out of the ensuing chaos and instability in Iraq arose ISIS and its Islamist fanatics. ISIL is a direct result of US wars on Iraq. President Bush has said that God asked him to invade Iraq. If the killing of hundreds of thousands of Iraqis can be justified because of listening to the command of God then ISIL can also invoke the support of the same God for whatever they do or have plans to do! In fact, the US Constitution allowed for a democratic form of government, not a theocracy; ISIL, on the other hand, claims to be a theocracy and its administrative structure is that of a caliphate. According to its way of interpreting, ISIS has ‘God on its side’. Another major US imperial adventure was in Afghanistan. It is common knowledge that the United States was instrumental in creating and arming the Mujahidin to fight the Soviet army that had come to help the Afghan revolutionary government. After the Soviet leaders pulled their military from Afghanistan, the American-sponsored Mujahidin of 1980s became the Taliban, the new rulers of Afghanistan. There is no doubt that the Soviet army suffered heavily in Afghanistan. The US imperialists, with the help of reactionary Saudi and Pakistani rulers and their well-equipped mercenary fighters crushed the Afghan revolution. In this way, they turned the clock of history back by empowering the primitive Mujahidin/Taliban. But that friendship did not last long. In 2001, America attacked Afghanistan and ended the Taliban rule. 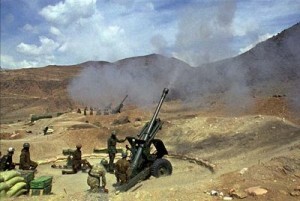 The occupiers started a brutal suppression of the Afghans who had no quarrel with America at all. During their long Afghan war, Americans were not able to break the resistance of the Afghan patriots and the Taliban. They finally forced the occupiers to end their occupation. The puppet regime of the former president Karzai and now the present president Ghani have faced the consequences of the imperial invasion. The country suffered enormously and its people reduced to abject poverty and deprivation. At present, the Taliban are still there and fighting the Kabul government. In short, countless millions of people have suffered in Iraq, Afghanistan, Libya and Syria. Whether we call it a civil war or war by proxy by regional powers, the war in Syria has reduced many cities to rubble. Hundreds of thousands have died. Millions of Syrians have become homeless. They are trying to escape to any place where they can exist as normal human beings. Other victims of wars from Iraq, Afghanistan, Libya and numerous other countries also join them in this quest for a safe haven in Europe. These people are in dire difficulties who need all the possible help. However, it is also important to underline the fact that Europe has no solution to the problems of millions of refugees and asylum seekers. Their number will keep on multiplying, not decreasing. Those who think otherwise live in a world of fantasy. By attacking innocent civilians in France, Belgium and Turkey, ISIS is able to create a sense of insecurity and fear throughout Europe. No state or public authority can provide complete safeguards against any random attacks. There is no shortage of weapons in Europe or anywhere else. Those who want to commit any terrorist attack will be able to acquire any bombs or weapons they need. It is a false hope that any intelligence agencies in an open society can stop all indoctrinated and ideologically motivated suicide bombers from their criminal behaviour. Most of the western societies including Australia have become multi-cultural and multi-religious that have ethnic communities of Afro-Asian origin. Among the immigrant communities, strong social bonds exist through their tribal and religious identities. While the western societies have developed a more relaxed attitude towards their religions and deities, most of the immigrants have gone the other way. There is a strong tendency to adhere to the formal religious traditions where their clerics play a vital social role. Any terrorist attack has negative consequences for these people, especially the Muslims. They become suspect merely because some Muslim terrorist has done something seriously wrong, somewhere. This strengthens cultural and social stereotypes. http://www.humanrights.asia/news/urgent-appeals/AHRC-UAC-147-2014) It is also important to see that this was an extreme example of that social and moral degradation that prevails in Pakistan. The morbid disregard shown by some extremist or even some ordinary Muslims for crimes against the members of any religious minority, such as Christians, Ahmadis or Hindus, etc. is not frowned upon by many Muslims but is rather viewed as an act of devotion to God and the Prophet. Such is the lower depth of depravity that prevails in Pakistan and very many indoctrinated ignorant people rejoice over such acts of unspeakable savagery in that country. But there is little ground to criticise only the ‘uneducated’ or ‘brainwashed’ people; many ‘educated’ people including many lawyers also support such blasphemy laws. For instance, in 2011 Mr Salman Taseer, governor of the Punjab province, a secular leader and opponent of the unjust blasphemy laws, was killed by his own bodyguard because he had spoken against the ill-treatment of Christians and advocated the repeal of the blasphemy laws. It may come as a somewhat surprise to many people in the world that many people in Pakistan had zealously demonstrated in favour of the murderer and among such demonstrators were the Pakistani lawyers who wanted to stand by the murderer and protect the blasphemy laws! Pakistani rulers and legislators imposed the blasphemy laws in a country where Muslim populace was religious but never morbidly extremist or intolerant of other faiths or viewpoints. However, the introduction of the blasphemy laws changed things drastically. They strengthened further the hands of the rightist and obscurantist forces in the land. Such laws could easily be used and exploited in matters that had nothing to do with religion as such. For instance, they provided a pretext, a cover-up to those who to settle their private conflicts or disputes could readily accuse their opponent of having said anything derogatory about matters covered by the blasphemy laws. Thus any Christian or the follower of any other minority faith can be falsely accused by anyone; it has been happening regularly. Once charged, their fate was sealed. There was little any such accused people could do to prove their innocence because the charge of blasphemy had already tilted the balance of justice against them. To the outside world such things may seem too primitive and stupid for a country in these times. But that’s how the things are in Pakistan. And the injustices ordinary innocent people suffer especially the religious minorities are getting worse in Pakistan. What can the international community do to stop this savagery in Pakistan? Let me leave this question for consideration to other writers and activists also. In this context, I appeal to all human human rights organisations, individuals who defend human rights and political activists for their help and solidarity for a common struggle against the most frightening crimes committed in Pakistan against the ordinary people belonging to various religious minorities. As long as the present blasphemy laws are on the statute book such brutal crimes as we saw in the case of the inhuman murder of this Christian couple will not stop. The minorities of Pakistan are extremely vulnerable and they need our help and protection. There are many things that need to be done; to demand the repeal of the blasphemy laws in one of them because these laws are a flagrant violation of human rights and a sickening misuse of Islam, a great and noble religion of compassion and toleration. This matter should also be brought before the organs of the United Nations. All civilised people around the world have a moral responsibility to raise their voice against the violations of basic human rights under the blasphemy laws and the victimisation of religious minorities in Pakistan. Yesterday 60 people were killed in Pakistan and many were injured. Such killings of the innocent people have become a matter of routine that are repeated so often. Ordinary people are helpless; they can’t do anything. The government cannot control this pervasive violence because the causes of violence are many. It is obvious that no pious wishes can change the situation because without uprooting the causes of violence, none can stop the violence. There are many causes for this, starting from the manipulative policies of Pakistani rulers and their subservience to US imperialism, to the Saudi role in Pakistan and the exploitation of religion in general for well over six decades. A tree is known by the fruit it bears. Pakistan is harvesting the fruit now in the shape of senseless killings, violence and religious fanaticism. In this country different political and social forces have done much to banish sanity from the public and private lives of its citizens. Political elite and religious establishment had set the process of making Pakistan a citadel of ‘pure’ Islam. We see how that citadel looks and how the rest of the world sees it. The results of myopic indoctrination and misuse of religion are clear. No realist observer can predict any change for the better in the foreseeable future either because the communal hatred, sectarianism and ignorance [jahilia] have taken deep roots that cannot be uprooted by any emergency measures. Pakistan needs a new direction in politics and in educational system to stop the misuse of religion and new strategies to cope with violence and fanaticism. Benazir Bhutto And Her Commitment To Democracy? 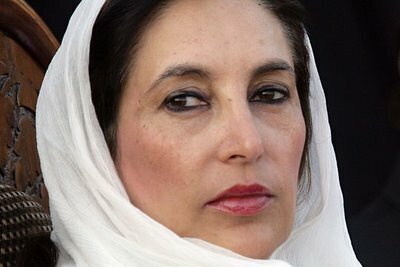 Editor’s Comment: December 27, 2011 was the 3rd anniversary of Benazir Bhutto’s assassination and Shahid R. Siddiqi updates the essay he wrote for publication on Axis of Logic on the second anniversary of her death. It is curious to consider how difficult it is for human beings to speak in plain language and write honestly about the dead. Notions of “honoring the dead” seem to compel most to ignore or paint over the wrongs committed by them when they were alive. It’s a sin of kindness that can be easily forgiven in personal and family atmospheres where loved ones suffer loss and are in need of comfort. But when the person who dies is a public figure such as a head of state with great responsibility for many people, it is important to look honestly at the life lived, service rendered, values exemplified and decisions made. It’s important to measure the gains and failures wrought by that life for the historical record and for lessons to be learned by others. Shahid Siddiqi has done just this on the second and third anniversary of Benazir Bhutto’s death. South Asians are sentimental people. Over the centuries, their romanticism about revered religious deities and historical social icons has shaped their psyche of nurturing personality cults. To this when you add pervasive illiteracy and ignorance about political realities of the present times, it is not difficult to understand why some political leaders have managed to achieve their meteoric rise to power merely on the strength of their charisma. For lack of substance, such political heroes did not last very long. They owed their fall to incompetence in management of the affairs of the state and misuse of power and often met violent fate. Their warts were posthumously removed by their hangers-on who, for their own self aggrandizement, transformed them into martyrs, clearing the way for their dynasties to rule after them. Those who survived, ensured that their parties became more like their personal “jageers” where they were surrounded by sycophants and succeeded by immediate family members.